OOOH! We have a new artist joining the fun. Emily Garces. Her art is fun, painterly and petite. That translates into quick to stitch. It just makes me happy. 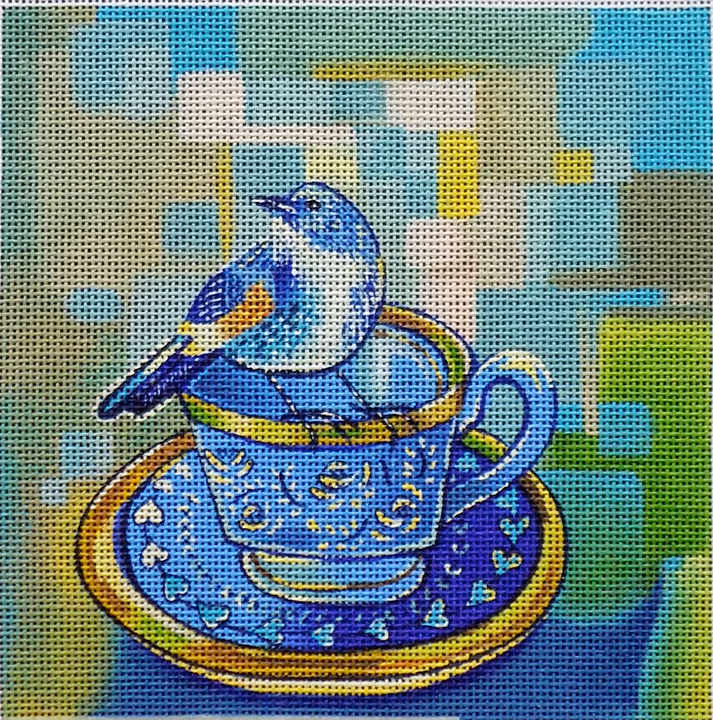 You know that’s my number on criteria for needlepoint. It has to make me happy. 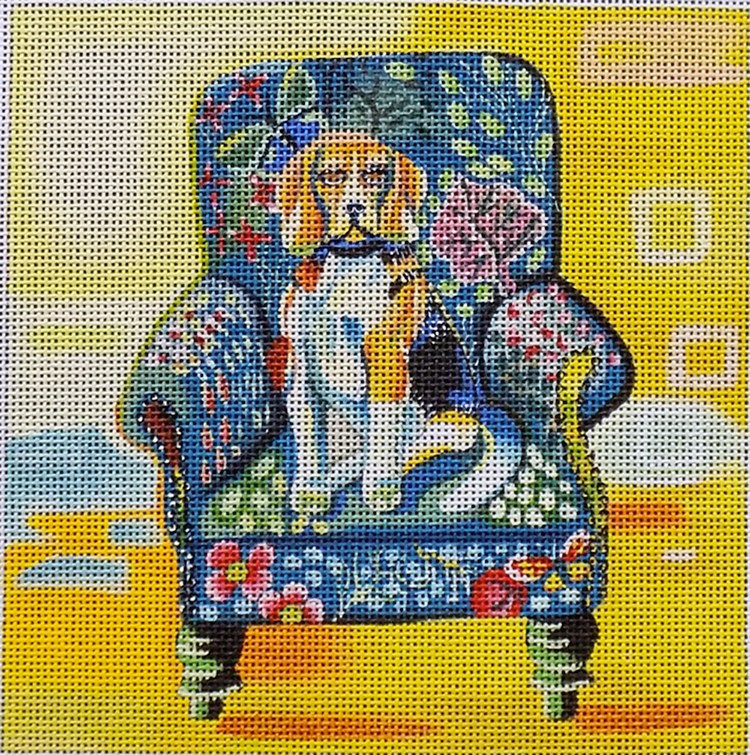 Each canvas is approximately 6″ x 6″ handpainted on 18ct. 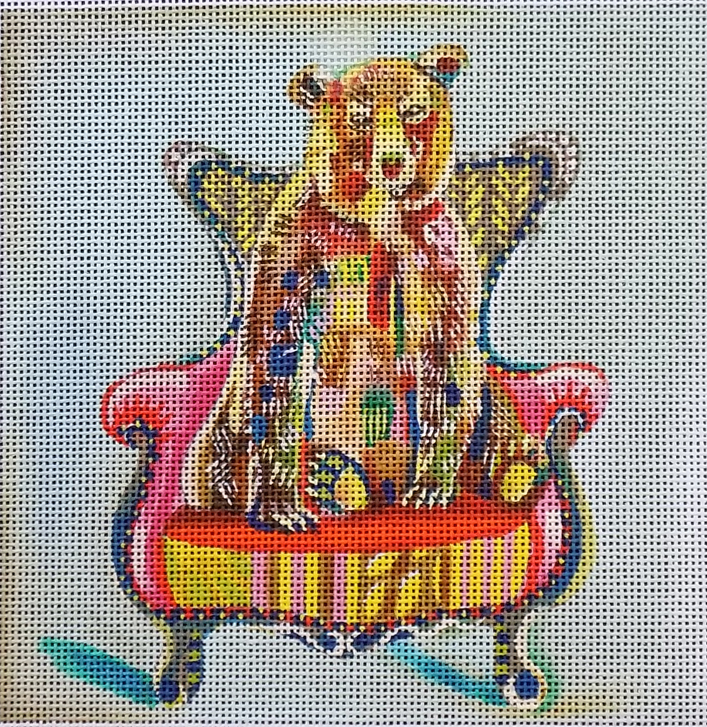 and a bear in a chair! 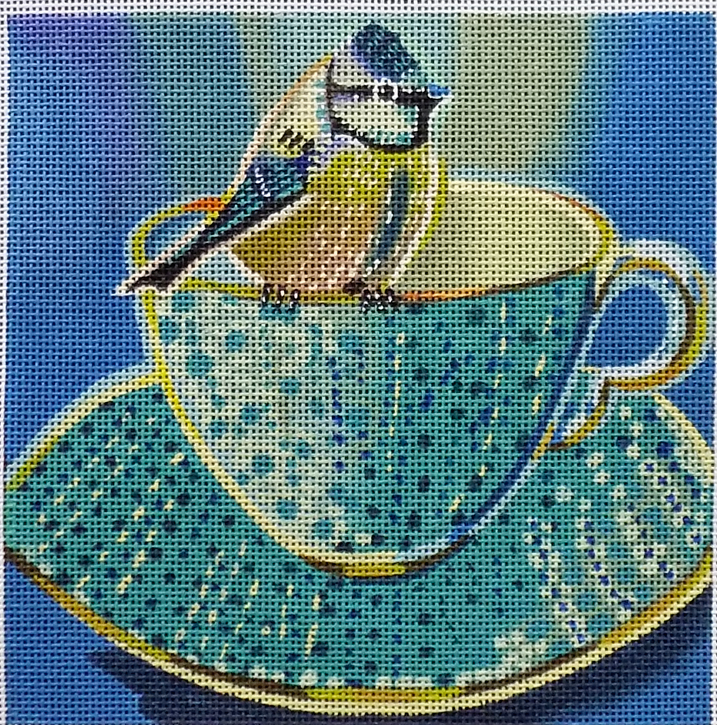 Or if birds are more your thing, we have 3 darling birds in teacups. They would look so sweet as a series. 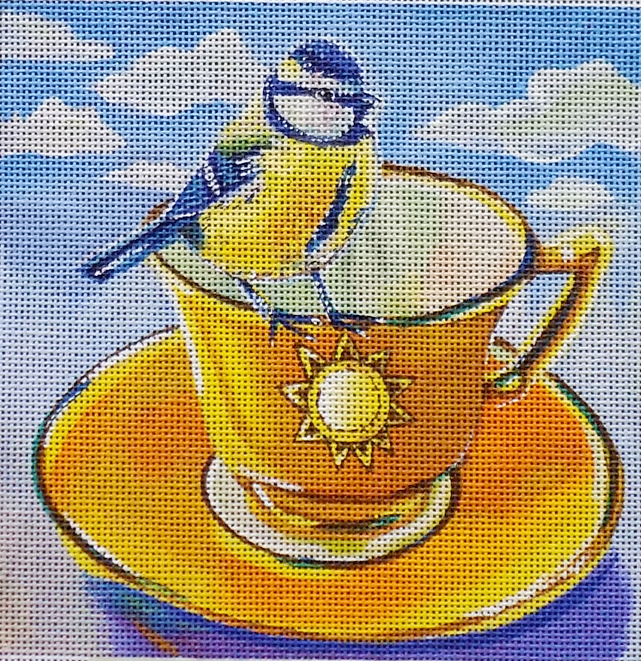 These are perfect for Spring stitching and are in-stock now. I hope you love them as much as I do. 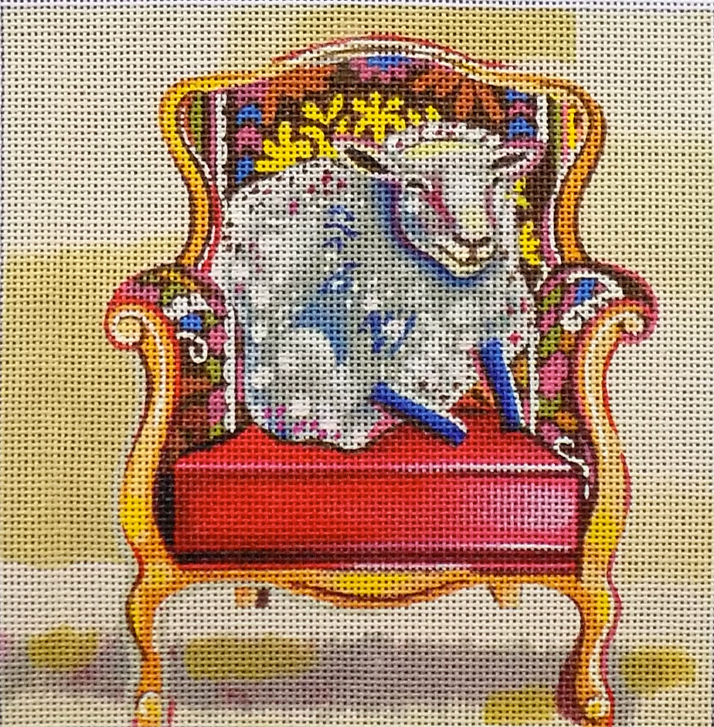 Love the animals in a chair series! Do you have any of them stitched up yet? No, none are stitched yet. They are super cute and fun. 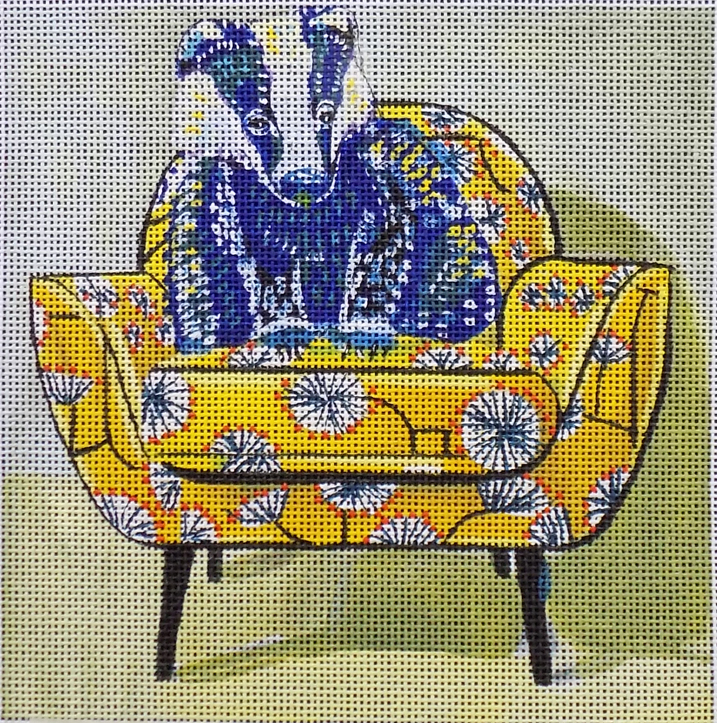 I would consider stitching the animal and chair more fully. 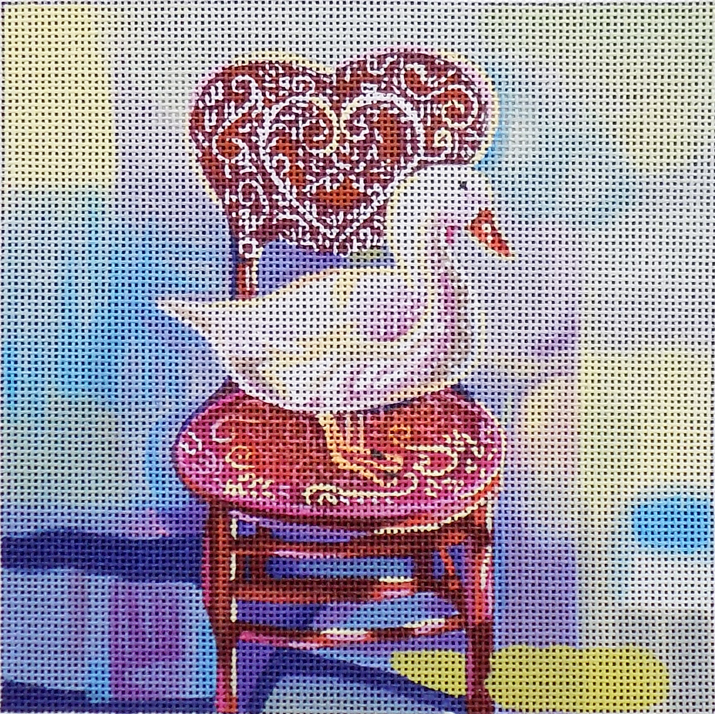 Basketweave, long and short, Ray stitches for feathers on the goose and then a nice open stitch for the background.